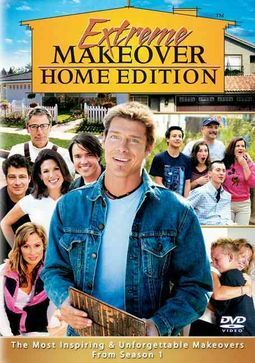 Experience the most unbelievable transformations from Extreme Makeover: Home Edition Season 1 in this inspiring 2-disc set, including exclusive bonus features that take you behind-the-scenes. In just seven days, Ty Pennington and the remarkable design team will present a deserving family with the home of their dreams. In a race against time, on a project that would normally take a crew four months to complete, designers and contractors, hundreds of workers and community members, plus special guest stars come together to build homes and change lives.